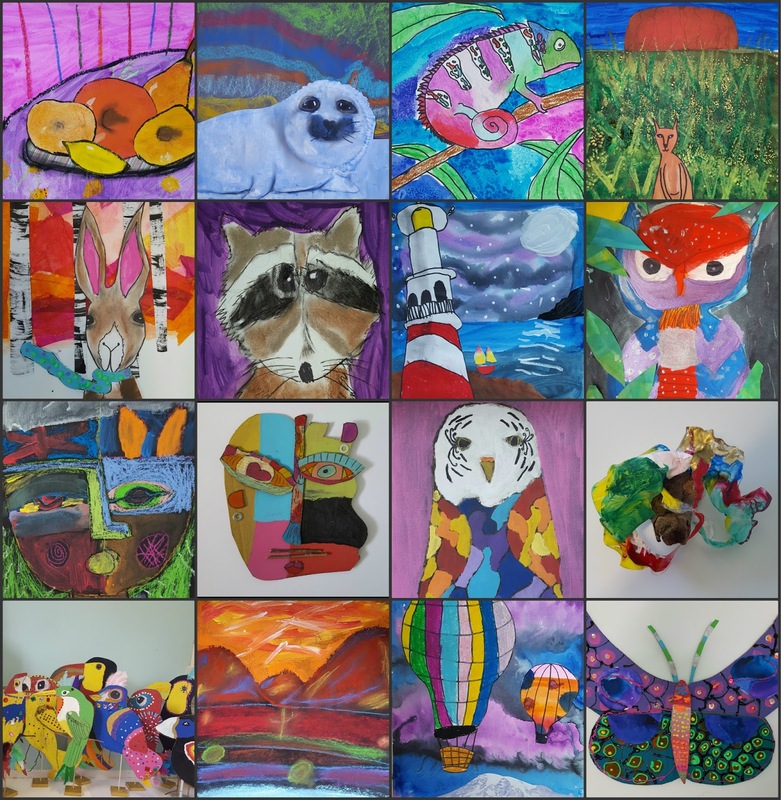 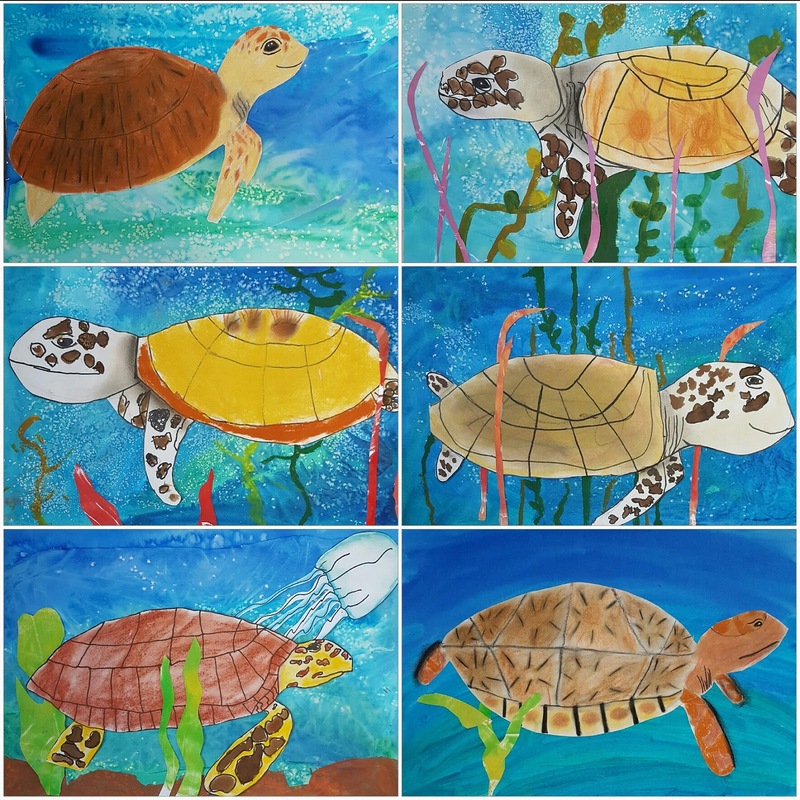 My Draw, Paint, Collage students kicked off the new year with these mixed media sea turtle collages. 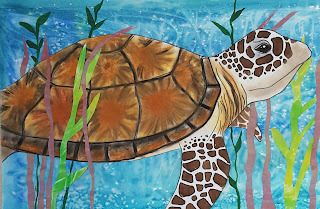 In many cultures, sea turtles are a symbol of good luck. 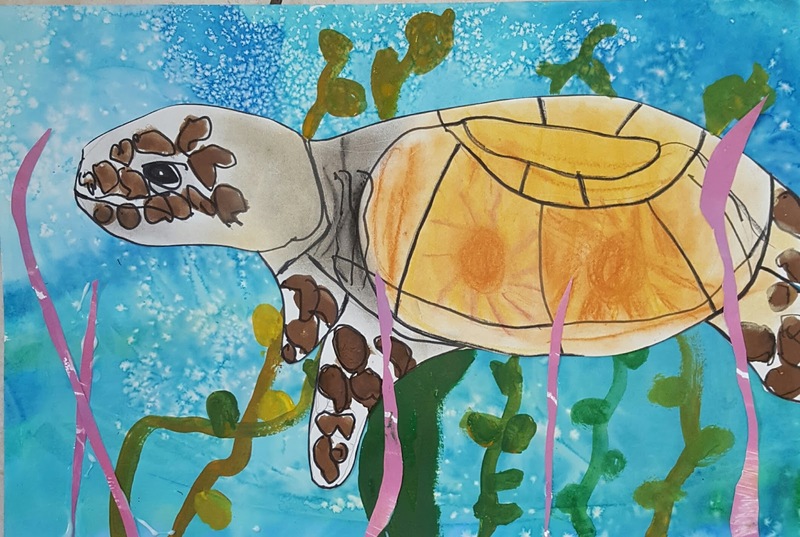 So maybe my timing isn't so strange after all, This project incorporated a wide variety of techniques and media, which is always a bonus in my book. Ocean backgrounds were created first using wet on wet watercolor painting with salt and plastic wrap. 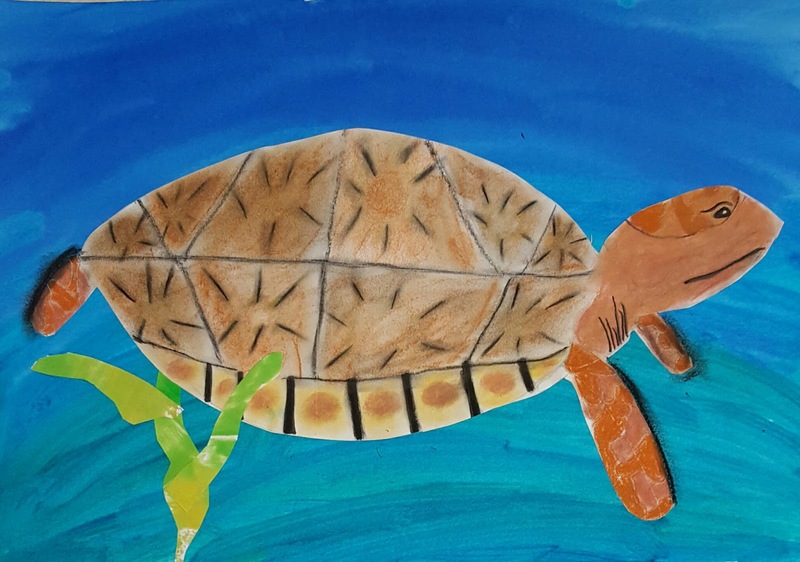 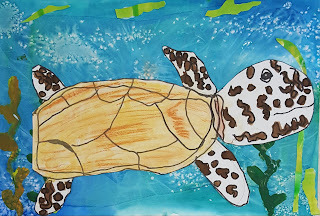 Hawksbill sea turtles were drawn and shaded with chalk pastels. Watercolor spots were added around the head and flippers. 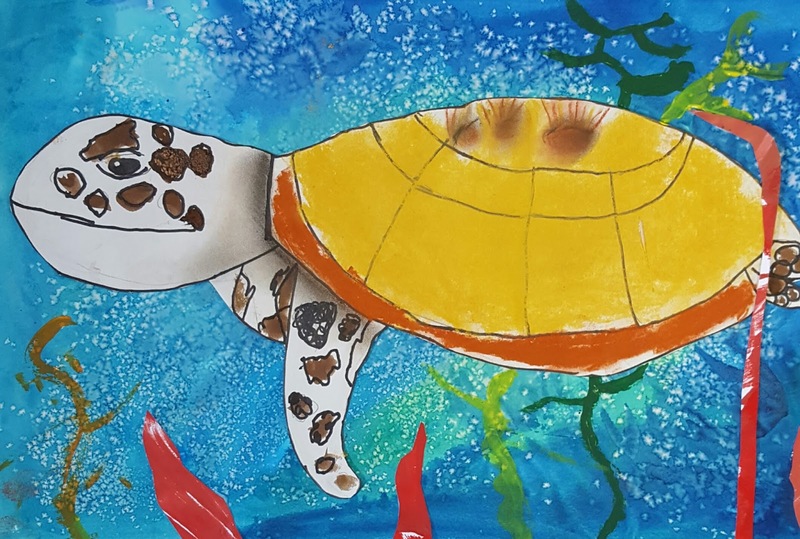 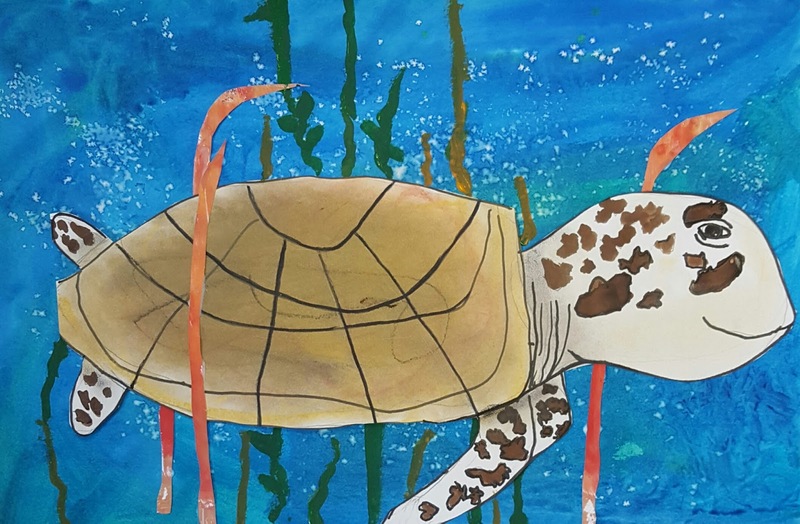 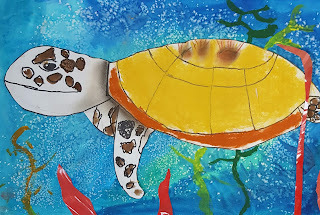 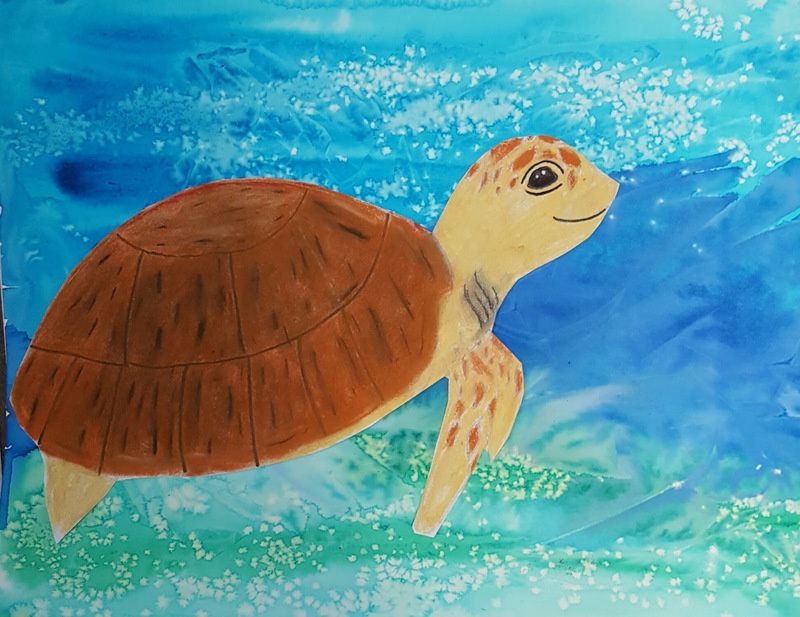 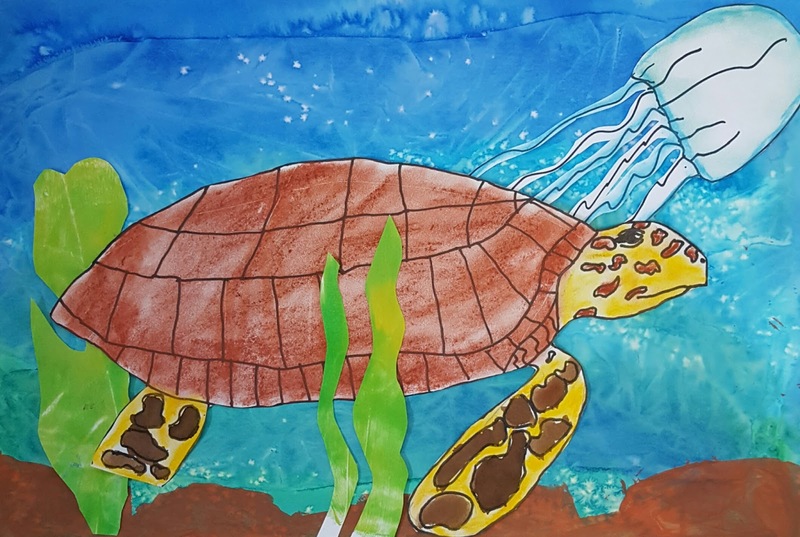 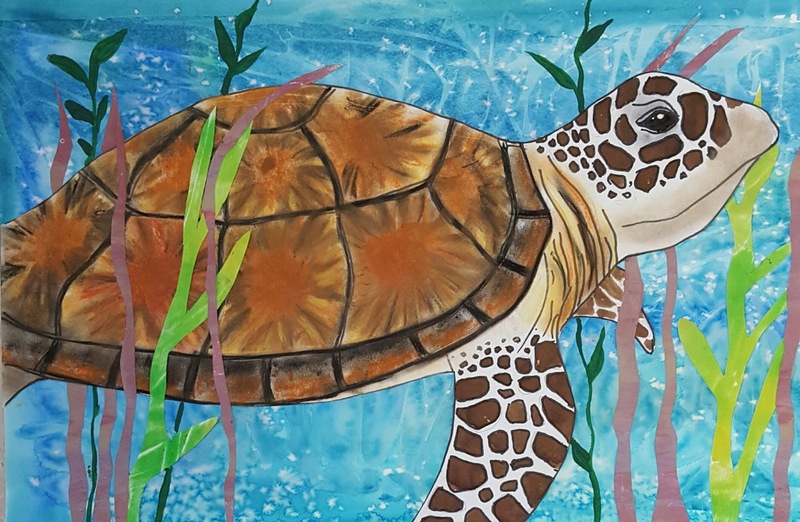 To give the sea turtles a tropical habitat, kelp and seaweed were added with cut painted paper collage as well as painted with acrylics.